Further establishing the Guinness World Records as an excellent marketing tool, Guinness has bestowed upon Batman: Arkham Asylum the record of the ‘Most Critically Acclaimed Superhero Game Ever'. Back when I was a kid, you couldn't get into the Guinness Book of World Records without having disgustingly long fingernails, but it's the future now, and with the world supply of fingernail clippers at an all-time high, the Guinness have to look elsewhere for record-breaking feats - like Metacritic, for instance. Having the highest average review score for a video game in the history of the medium I could see, but aren't they getting a bit too specific with ‘Most Critically Acclaimed Superhero Game Ever'? 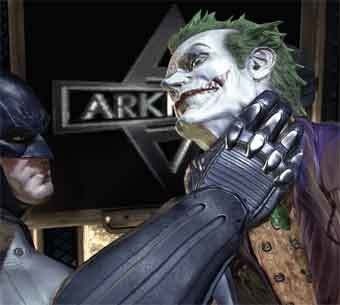 Sure, an average review score of 91.67 is nothing to scoff at, but does Batman: Arkham Asylum really need a custom-tailored world record? Guinness' Gaz Deaves seems to think so. "We are so pleased to be awarding Batman: Arkham Asylum a Guinness World Record. It is a fantastic new game and due to the reaction of gaming experts we believe it has a well deserved place in the Guinness World Records book." A well-deserved place in a book that is quickly losing all meaning and relevance, with awards that seem crafted to fit the feat, rather than the other way around, as it should be.